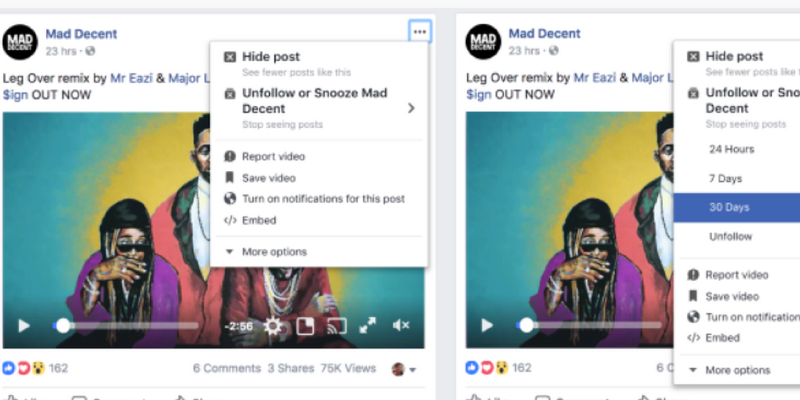 Social media platforms have been testing out all sorts of new features on their channels this month! Read on to find out what’s been happening in the world of social. Instagram Live is proving more and more popular, with top celebs like Victoria Beckham, Chance the Rapper and Selena Gomez embracing the Live function to showcase products and to give us an insight into their day-to-day life. This month, Instagram have introduced the ability to use face filters during live broadcasts, which adds an extra element of fun to proceedings. This feature will be rolling out globally over the next few weeks, so next time you go live, why not give it a go! Stories’ popularity shows no sign of waning, with over 250m daily active users just a year after it was launched. Now, there’s a new way to share stories you’ve watched with your friends. Just like normal posts, you can now share Stories via Direct. Simply click the Direct button at the bottom right hand of the story you wish to share, and choose a friend/group to share it with. Stories you send/have been sent will appear as normal in your Direct inbox, but will no longer be available when the original story disappears from Instagram. If your account is private, only people that follow you will be able to see your story, even if it’s sent via Direct. If your account is public but you don’t fancy having your story shared, you can turn off the feature in the story settings. 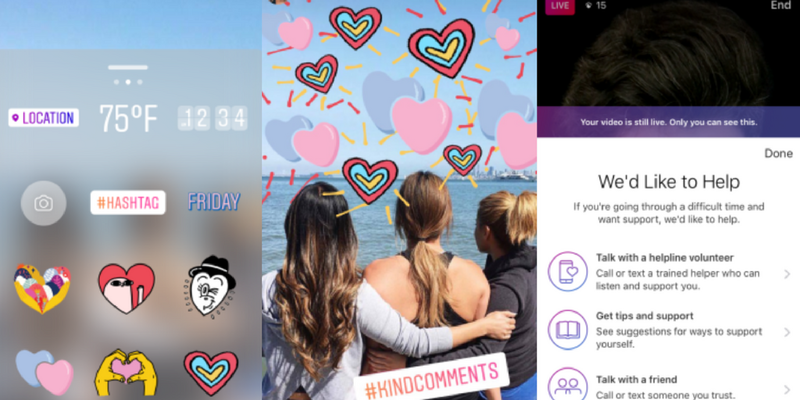 Instagram are promoting the value of caring on the platform this month, with the introduction of a new set of stickers and the hashtag #kindcomments. The stickers feature a variety of hearts which can really brighten up your story, as seen in the photos above. In addition to the new stickers, Instagram have introduced an ‘anonymously report’ button within Live. This allows users to anonymously alert Instagram if they are concerned for the welfare of someone featuring in the live broadcast. The broadcaster then receives a prompt from Instagram, giving them advice on how they can seek help if they need it. Hopefully this will help those who are struggling and reduce the risk of any harm coming to them or others. This month, the king of filters, Snapchat, released brand new Bitmoji filters. Why is that so exciting, you ask? Because this time, they’re in 3D! Now, your Bitmoji character can drive across the screen in a shiny convertible, enjoy a steak dinner with a glass of wine, catch fireflies, make it rain money, and dance to the latest Avicii track. It’s entertaining to watch your avatar come to life, and I think the feature will be particularly appealing to younger users, seeing as the dancing hotdog went down so well! 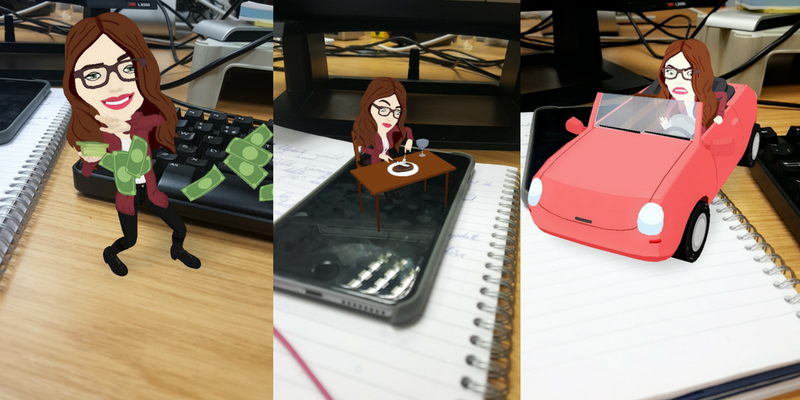 After the Map feature caused concern amongst many users, Snapchat have got another privacy issue on their hands. Due to the new iOS 11 update, some users may be able to record other people’s snaps without alerting them with the usual ‘screenshot’ notification. This is due to the new screen record option within the control centre, which allows you to record what you’re seeing on your phone screen. If this is activated when you’re viewing snaps, the snap will be recorded but the other person will not be notified that you’ve recorded the snap. The good news is that Snapchat are already trying to fix the issue – if you’ve got Snapchat version 10.17.5 then you should receive a notification when someone records your snap. However, tests conducted by the Telegraph showed that, even when the latest version of the app was installed, sometimes users didn’t receive notifications when their snaps were being recorded, or the notifications came after a delay. Hopefully Snap will get these issues fixed quickly! Sick of seeing posts from a particular friend, group or page, but don’t want to take any permanent action like unfriending or unfollowing? Facebook may have a solution. They are testing a temporary unfollow button, which would allow you to ‘snooze’ updates from particular users for set periods of time. To utilise the feature, click on the dropdown menu at the top right hand corner of a post from the person you wish to temporarily unfollow and choose the ‘snooze’ option. You will be given the option to unfollow the person for 7, 14 or 30 days. The feature is currently being tested amongst certain users, so is not yet available to all users. If you fancy having an experienced businessperson to give you career advice, Facebook may be the way to get in touch with them. We Are Social Media have reported that lines of code indicating that Facebook is testing a mentor/mentee scheme have been discovered on the network. LinkedIn rolled out a similar feature last month in San Francisco and Australia, which endeavors to match less experienced employees with more senior figures in their field. This could be another string for Facebook to add to its bow if it does choose to roll the mentoring programme out on a larger scale. 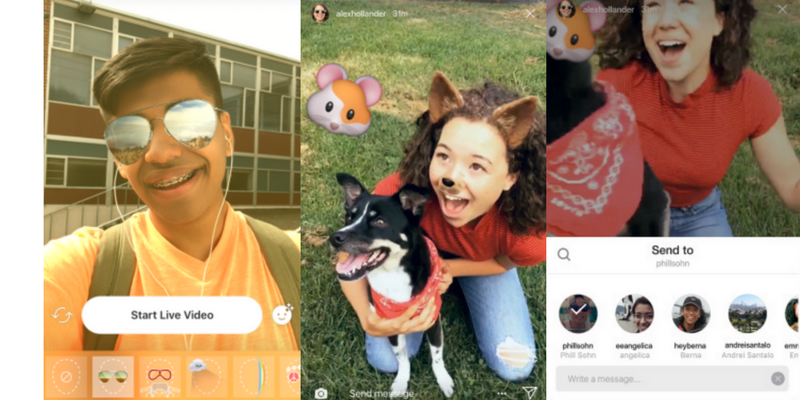 Although Facebook-owned Instagram Stories have been a huge hit, Facebook’s own version of Stories has not taken off in the way the platform would have hoped. Now, the social media giant seem to be testing cross-posts from Insta Stories to the original Facebook platform. If the test is successful and cross-posting becomes available, would it be the end of the road for Facebook Stories? We’ll have to wait and see. It’s the moment many users have been waiting for – Twitter have announced that they’re trialling a new 280 character limit for tweets! The decision to test out the 280 character limit came as a way to level the playing field for all Twitter users. Currently, due to the nature of the languages, users who tweet in languages such as Japanese, Korean and Chinese can convey nearly twice as much information in 140 characters as users tweeting in English, French and other languages can. A small group of Twitter users tweeting using languages other than Japanese, Korean and Chinese will have 280 characters to express themselves with. Whether this is rolled out to all users is yet to be seen – it will depend on the test group’s reaction. We’ll be back next month as usual with all the latest trends from the world of social media! What is a GIF (and how do you pronounce it)! ?